Warranties on LPG / NGL storage vessels are typically for one year although at least one U.S. manufacturer offers a 10-year warranty. 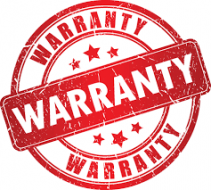 The start of the warranty period will vary by manufacturer. Some warranty periods start after completion of fabrication, some begin from the date of shipment while others begin from the date of installation. …New storage vessels and does not apply to used equipment or any valves and related fittings, regulators, gauges, hoses and hose-end connections, anode bags, and similar equipment, part or attachment which is part of, attached to or sold with the product. Manufacturer’s will not warranty components, parts or accessories not manufactured by it, but in the event of a defect of a component part or accessory, they will provide reasonable assistance in obtaining (from the respective manufacturer) whatever adjustment is authorized by that manufacturer’s own warranty. Warranties are not typically transferable. The warranty extends to the original purchaser to whom storage vessel was first delivered and who first places the vessel in service. The purchaser’s remedy generally consists of the manufacturer repairing or replacing without charge, any defective item covered by the warranty. Most manufacturers of LPG / NGL storage vessels offer similar standard features. For instance, you can expect a storage vessel that is designed and constructed to the latest edition, latest revision of ASME, Section VIII, Division I and NFPA 58 “Liquefied Petroleum Gas Code” for stationary use vessels. The tank will have a National Board Registration and standard operating pressure and temperature will be 250 PSI @ 125 degrees F. Standard sizes generally range from 12,000 – 90,000 gallons. You can also expect exterior surfaces to be grit blasted and coated with an epoxy primer. External connections, outlets and a manway are typically standard, but valves and fittings are not included. Steel saddles may or may not be included.